Babies love cuddling and soft hugs. What other better way to achieve this other than investing in the best swaddle blankets. 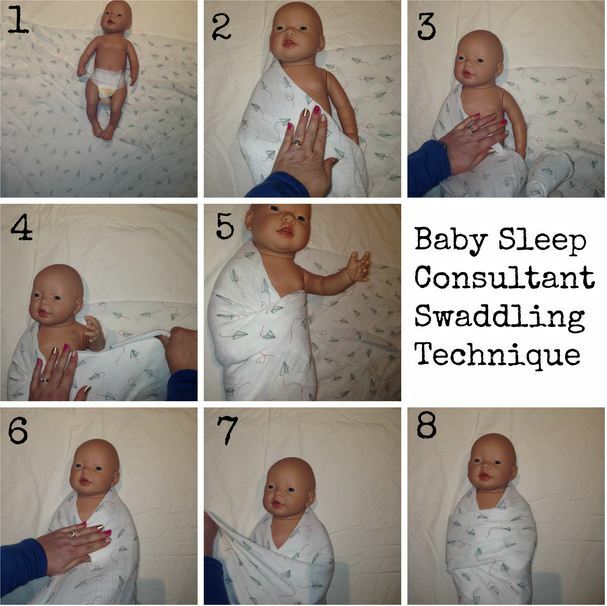 You can accomplish baby swaddling in different ways. Best swaddle blankets also come in various shapes and sizes. My kids have their favorite best swaddle blankets. I swaddled them dutifully for the better part of the early days. I only achieved this after several attempts apparently. Most probably because I had the wrong choice of baby swaddles. But I am wiser now. I have included these tutorials and a video on how to swaddle your baby as well. Make sure you read till the end. Below are my all-time favorites. A Video On How To Swaddle Your Baby. The first two are non-negotiable. This is critical. Baby swaddles need to give you a sense of security when in use. Imagine you baby breaking out while you think they’re sound asleep? Horrendous! Giving moms peace of mind is compulsory for my choice of best swaddle blankets. Regular or square blankets won’t swaddle your bundle of joy perfectly. No matter how much you try to shape them. I have been there and done that. And like I said before, I am wiser now. Always go for a swaddle blanket that is pre-formed. Swaddling doesn’t get easier! 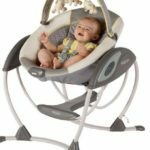 Ability to use them in a swing, stroller, car seat, etc. Not mandatory but this factor comes as a bonus. 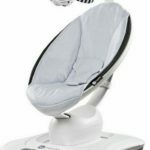 Especially with fussy babies, soothing them in your best baby swing while swaddled gives better results. No snaps, hooks, or Velcro. Available in several patterns and colors. I found the miracle blanket to be one of my best swaddle blankets because it provides a secure swaddle. 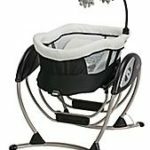 In addition, the baby gets a snug without the use of hooks, Velcro, or similar fasteners. I got nothing personal about the hooks; it’s just that they come with additional work. I prefer my baby swaddles to be easy and ready to wear at all times. You could, however, adjust the miracle blanket by either loosening or tighten the wrap. This feature provides flexibility of the swaddle snugness. Therefore, your baby gets the best out of it, in addition to growing along with their best swaddle blankets. In conclusion, the Miracle Blanket is quite easy to use. You don’t need to fold down any corners. In other words, you get a perfect snuggle every time. Free from lopsided flaps! However, due to the single size limitation, your baby will most definitely outgrow it in around 3-4 months. Obviously depending on how fast they grow/ add a few inches! Not to worry, though, you will have gotten value for your money by then. Light with an open weave fabric. Extra-large size; 47″ by 47″. In addition to swaddling, you can use as a nursing cover, burp cloth, or a receiving blanket. Aden & Anais gives a traditional swaddle blanket experience. Since they are made from cotton muslin, they are breathable and ultra-soft. Consequently, muslin swaddle blankets are perfect for newborns. My favorite feature is the extra-large size which means your baby won’t outgrow this one soon. 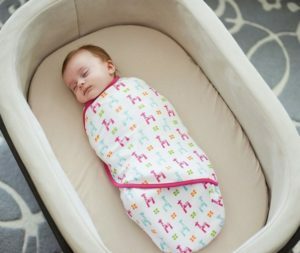 These best swaddle blankets are quite big they will easily fit a 20-pound toddler. Another plus is that Aden and Anais Muslin Swaddler comes in light and heavy styles: The latter being more suitable for winter. Aden and Anais are PR sensitive. They have created an interactive website where you can get more tutorials on their Muslin Swaddler. Most especially the Aussie Swaddle technique if your kid gets their arms free a lot. Extra-large size; 48” x 48”. These can be used as a nursing cover, changing pad, burp cloth, stroller cover, as well as a receiving blanket. Available in different cute and trendy patterns. Sold in packs of three, Ziggy gets in my list of best swaddle blankets for its extreme softness. Made from 100% cotton, Ziggy is super breathable. My kid feels cool and yet we wrap quite tightly. Another great feature is that Ziggy lets you customize the folds. Therefore your baby gets the perfect fit. Or should I say the perfect snug? Super soft and stretchy fabric. Available in several colors and patterns. This is a unique best swaddle blanket. With the arms facing upwards, your baby slides into the body bag. This puts the baby in a natural sleep position. Therefore, they sleep longer. In addition, the legs have some play consequently promoting a healthy hip position. What makes this swaddle blanket tick for me is the two-way zipper. The zipper allows for a pretty easy diaper change. Finally, you can use your best swaddle blanket in a stroller. Love To Dream has a back slot for that purpose. Let’s just say this is the best swaddle blanket to use with bigger babies. Up to a year old, your bundle of joy will enjoy this blanket. Available in all sorts of colors and patterns. These are most ideal for use in winter because they are a little heavier. However, Swaddle Me never disappoints. Probably the reason they are the leading swaddles brand in the market. This choice of best swaddle blankets is designed with a sac feature. However, unlike other sacs like swaddles, it comes with Velcro on the arm wings. Therefore you can adjust your baby’s fit. Another favorite feature is that the blanket comes with a slot to fit into your best baby carrier or a car seat. Not the prettiest looking swaddle blanket. However, it does wrap pretty impressively. With additional Velcro wings and larger arm flaps, you can achieve the perfect fit for any baby. 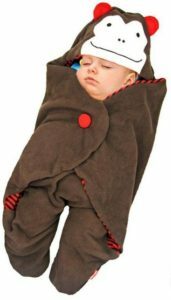 Your baby slides into the sack which looks more of a straitjacket. My favorite feature is that I use it over my baby’s pajamas, therefore, eliminate the need for extra crib blankets. Most babies hate blankets; HALO sleep sack saves me the extra trips to cover my baby in the middle of the night. Finally, the zips allow easy diaper change at night and the sleeveless design ensures the baby doesn’t overheat. A dehydrated baby in summer would be mom’s worst nightmare! I must mention that the sack also allows you to tuck in or leave out the baby’s arms. When your kid is ready to transition, you can purchase this wearable blanket manufactured by the same brand. Most especially at the age when the baby starts to roll over, you need a better solution. Depending on your choice of your best swaddle blanket, how you swaddle the baby varies. For example, Velcro wings allow you to strap your baby’s arms downwards while their legs slide in the sack. Shape the blanket like a diamond. Place the blanket on a level surface, and fold down the top point of the blanket to a third of the way down. Place your infant in the center of the blanket and ensure the neck rests on the top of the diamond. Pull the bottom of the diamond up to cover your baby’s feet and sit on their belly button. Pull tightly the right side of your blanket and stretch to the opposite side (over your child’s stomach). Roll the baby to position on their side. Tuck in the corner while holding your tot’s arm straight down. Roll them back to their original position and push the other arm while you wrap the remaining blanket to the opposite side as you safely tuck it inside. Phew! Such a labor of love! I have included the step by step photos to demonstrate this process better. Ideally, pre-formed best swaddle blankets save you all these steps. Therefore, I recommended them for the busy mom. Swaddling is an art of wrapping a baby in a way to mimic a womb-like feeling. Consequently, your child gets comfortable and feels a sense of security. That feeling helps them to fall asleep faster and be less fussy. Ideally, you reduce sleep reflux. This is a familiar condition in babies where they just wake up even in the middle of the deepest of sleep. Another benefit is that you limit their hand movement. Therefore lower the chances of the baby scratching. You know how sharp and fast those nails grow? Swaddling saves your tot the scars. Your best baby swaddle also helps maintain a healthy sleep position for your baby. Just ensure the swaddle blanket is not extremely tight as the baby grows. This will reduce the risk of SIDS in case they start turning while swaddled. A benefit for you as the mom is that you get to enjoy longer sleep while the baby is swaddled. Simply put, stop swaddling when the baby starts to roll. This poses a risk of SIDS. As an alternative, you could get sleeveless swaddle sack blankets at this stage. Not only does the baby continue to enjoy warm nights, but they also push up and over without posing any risks. Multi-purpose best swaddle blankets provide moms with extensive experience. The above swaddle blankets offer amazing swaddling experience and can be converted for other functions. Ideally, they serve as a wrap as well as a blanket at the same time. They also offer on-the-go use. You can swaddle in the bassinet, in the crib as well as in the stroller. The best swaddle blankets provide extreme neck support. In fact, newborns will feel safe and well snuggled giving you longer naps as you transit. Swaddles the baby’s arms only. Versatile use in a bouncy seat or the swing. They come in a wide range of patterns & colors. This swaddle blanket focuses on the arms only. 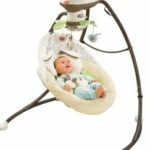 This means that you can absolutely use it on your best baby swing or a bouncer. It is escape proof which gives you extra peace of mind. Finally, it has a simple design for super quick and easy swaddling. With arms only covered, it’s the best swaddle blanket for warm weathers. Comes in a broad variety of color and patterns. The Woombie offers your baby a womb-like experience. Maybe the reason they named it Woombie. It comes in different thickness. The different types have different stretch levels. You are spoilt for choice with Woombie. Amid all that security and snuggle, your baby can move with this best swaddle blanket. This applies to both arms & legs. How cool? Comes in four different colors: lime green, pink, aqua, & blue. This is one of the best swaddle blankets for super active babies. You get an assurance of security, and at the same time, the swaddle allows for easy access to the hook and loop opening. For instance when changing your best cloth diapers. This pick is an arm only swaddle blanket. However, the full swaddle design can be bought here. My choice of the best swaddle blankets also doubles up as beautiful blankets. They can be used for general-purpose activities such as nursing covers, diaper changing mat, tummy time blanket and so on. Ultimately, you get a multipurpose blanket for your investment. For our international friends, below is a link for you to shop on Amazon UK. Thanks for passing by! Cheers!